Rude Dude and heavy metal Super Kind. Cut outs with a 5’6” human in the background for scale. Super Kind and Rude Dude cut-outs will be on display at Entertainment Hobby Shop JUNGLE (Anime Jungle) in Little Tokyo from Wednesday, Oct. 17, through Wednesday, Oct. 24. 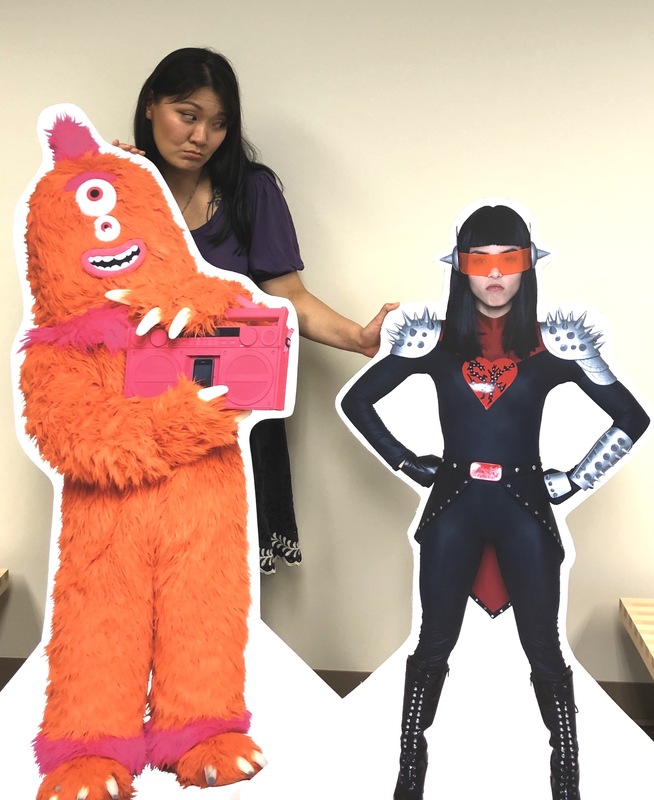 Stop by and take a picture with our transit super hero and her nefarious nemesis — then post to Twitter or Instagram using the hashtags #SuperKind and #RudeDude and your photo may be shared on Metro’s channels! We’ll also have a special in-store giveaway on Oct. 17 to celebrate the pop-up. Make sure to follow us on Twitter or Instagram @metrolosangeles for details! First opened in Osaka in 1995, Jungle Special Collectors expanded to Los Angeles as Entertainment Hobby Shop JUNGLE (Anime Jungle) in 2001 and has grown to become the largest anime retailer in the city. Anime Jungle has thousands of different products and special collector items! Anime Jungle is located on 319 E. 2nd Street #103 in the Little Tokyo Mall. Walk over from the Gold Line Little Tokyo/Arts District Station, or take Metro Bus 30/330 to Judge John Aiso/1st Street. DASH A also serves the Little Tokyo area. Need a refresher on Metro Manners? Check out all of Super Kind vs. Rude Dude videos here. This campaign will not be noticed by the people that need to change.